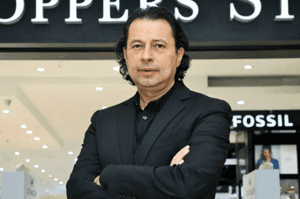 Mr. Rajiv Suri, is the Customer Care Associate (CCA), Managing Director (MD) and Chief Executive Officer (CEO) of India’s leading fashion and beauty retailer Shoppers Stop Limited. 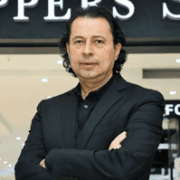 He joined Shoppers Stop in January 2018 as the CEO and got elevated in June 2018 as the MD & CEO to lead the overall strategy and performance of the company. Rajiv brings over 25 years of leadership experience spanning multiple geographies viz. Europe, East Europe, Middle East and India – specialising in the Fashion, Beauty, Home and Department Store segments. Before setting sights on India’s burgeoning retail market, Rajiv was Chief Executive Officer at Majid Al Futtaim Fashion (MAF) – a leading shopping mall, communities, retail and leisure pioneer across the Middle East, Africa and Asia from 2014 to 2017. He lead the strategic development, growth & transformation, innovation and digitalisation for MAF which was including global brands like A&F, Hollister, Crate & Barrel and Allsaints, Lululemon. During his time at MAF, Rajiv served on the Board of Directors of Abercrombie & Fitch Middle East, Monsoon & Accessorize Middle East, and the Dubai Retail Business Group. Prior to this, Rajiv was CEO Retail at Jashanmal (a premium/luxury retailer in the Gulf region) from 2007 – 2014 which included global brands such as Burberry, Salvatore Ferragamo, Bally, Kate Spade New York, Brooks Brothers, Calvin Klein, Clark’s etc. As part of his role, he served on the Board of Directors of Burberry Middle East and was instrumental in launching Burberry in India. Prior to his association with Jashanmal Group, he was working with Mexx Europe Holding as the Franchise Director and Managing Director of Mexx (an international fashion company) between 2003 and 2007. Anchored out of Paris, he joined Mexx in 1998. He was associated with M.H. Alshaya Co. for a decade. Rajiv holds a Strategic Retail Management certificate from Harvard Business School, Boston, Massachusetts, United States. He has a dual PGD in Sales & Marketing Management from Bhartiya Vidya Bhavan, Jaipur and PGD in Business Management from Institute of Marketing Management, New Delhi. Rajiv’s extensive international repertoire lends him an astute and futuristic lens into the business of fashion. He is passionate about the fashion industry’s transformative impact on customers. He is a firm believer in leveraging market opportunities, strengthening customer relationships, and driving cohesive and innovative growth across all spheres of business.